Last week, we discussed that if we need to purchase armor, we need to start with the ‘why’ behind that armor’s need. This week, we are going to continue that discussion by addressing how armor defeats a threat, how it is classified by the National Institute of Justice, and what it does and does not do for us. As the picture above shows, there are a lot of videos on the internet that show ‘ballistic testing’ of body armor in a scenario similar to this. While its funny (or scary, depending upon the video) to see the vendor hawk their wares. What these tests do not illustrate is how consistently their product will perform under the worst possible conditions for body armor to defeat a round. It also does not give you a way to see how the system performs in comparison to its competitors… but it ‘looks (tacti) cool’. Body armor is the result of a study of the terminal ballistics phase of a projectiles’ flight. What a projectile does when it impacts in its target, is transfer the kinetic energy that has been imparted into it through the internal ballistic phase. TC 3-22.9, Change 2 dated August 2017 defines kinetic energy as: “the delivered energy that a projectile possesses due to its mass and velocity at the time of impact. Kinetic energy is directly related to the penetration capability of a projectile against the target.” In physics, kinetic energy is expressed in the formula 1/2 times the mass of the projectile times the square of the velocity. In broad terms, body armor defeats this threat posed by the projectile by breaking it up and dissipating its kinetic energy over a broader surface. There are two general categories of ballistic armor: hard armor and soft armor. Another subtype of these categories is a hybrid of hard and soft armor that is designed to be worn together. The amount of variation in calibers between the various weapon types makes it challenging when considering how to test it. 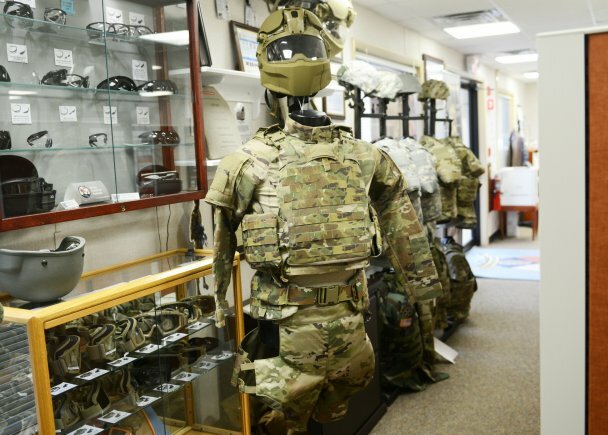 The National Institute of Justice has developed the standard for testing body armor in the United States (NIJ-0101.06, link below at the bottom). They have created several broad classifications used in body armor testing when it comes to projectile threats. The classifications for Pistol calibers are: IIA (up to 9mm and .40 S&W), II ( up to 9mm and .357 Magnum), and IIIA (.357 SIG and .44 Magnum). The classifications for rifle calibers are III ( 7.62 M80 projectile) and IV (.30 caliber AP projectile). There is a final category, special, which is any caliber or velocity not falling within the specification of the other classifications. Keep in mind, this is only mentioning the caliber component. NIJ-0101.06 lists a standardized mass (i.e. projectile type and weight) and velocity (muzzle velocity range) component for each of these categories, ensuring that a consistent amount of kinetic energy is imparted into the body armor to ensure it is tested consistently. To add to the complexity of these classifications, when dealing with hard armor, you have to look at how the system was tested with the NIJ protocols. If the hard armor was tested in conjunction with a soft armor, that means it is rated to stop a threat only when worn in conjunction with that specific soft armor. If you purchase plates along with soft armor that it was not tested with, that potentially negates the protection level the armor is designed to provide. What body armor does do for you is provide you with a capability to stop a specific threat projectile with a specific muzzle velocity. What it is not designed to do is potentially stop non-ballistic threats, such as knives. One other thing that has to be mentioned is the fact that while it is a reasonable assumption that if you are wearing Class IV armor, you should be expected to stop every round that falls below it in caliber and velocity. While quality body armor will stop most rounds, the only round it is going to stop 99.995 percent of the time will be the round it was tested against in the NIJ labs. Keep in mind, the NIJ testing is considered the minimum standard for a body armor to meet to be used for law enforcement. Other organizations, such as the military, NATO, and foreign countries, have protocols for testing that in many cases exceeds the NIJ standard. Now that we have discussed the classifications of body armor, and what they are supposed to stop, next week, we will continue our discussion by talking about how body armor is tested in accordance with NIJ standards. The Folly Of The Four Man Stack «» Turning Corners, What’s the Rush?